FREDERICK, MD – On Friday, October 26, 2012, Downtown Frederick, Maryland was named one of America’s “Prettiest Painted Places” in a national competition that identified the nation’s 12 most beautifully painted neighborhoods and towns. Naming of the 12 “Prettiest Painted Places in America” comes after a rigorous four-month search by the Paint Quality Institute. 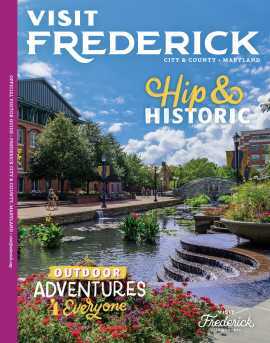 Downtown Frederick was nominated by the Tourism Council of Frederick County, who worked with the Downtown Frederick Partnership to identify 21 images that best represented the colorful architecture in the downtown area. “With our beautifully painted historic buildings that date to the 1700s and numerous murals throughout downtown, we are pleased that the judges agreed with us that Downtown Frederick is indeed one of America’s prettiest painted places,” says Michelle Kershner, Marketing and Communication Manager for the Tourism Council of Frederick County. Downtown Frederick was selected from nearly 200 nominees from 48 states and the District of Columbia that submitted color images of beautifully painted homes, buildings and exterior murals. A panel of judges with expertise in paint and exterior color schemes reviewed the entries and named two winners from each of six different geographic areas. Downtown Frederick was chosen as one of the winners in the Northeast Region. Residential homes represent a large portion of the beautifully painted buildings in town, but businesses in the commercial district also show creative colors. Thanks to a façade improvement program in the downtown area, business owners can receive assistance in improving the exterior of their buildings. “Over the course of the entire program, more than 50 façades and more than $150,000 in matching funds have assisted business owners in improving the exterior of their buildings,” explains Downtown Frederick Partnership Executive Director, Kara Norman. “Painting is a significant portion of the work completed,” she said. This is the third time the Paint Quality Institute has conducted a search for the prettiest painted places in America. It held the first competition in the 1990s, and another in year 2000. The purpose of the competition is to give recognition to places that use paint to express pride in their communities, and highlight how an attractive exterior paint treatment can enhance the curb appeal of virtually any home, building, or exterior structure. 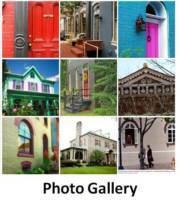 To see Downtown Frederick’s “Prettiest Painted Places” photos, visit http://bit.ly/paintedfrederickfb. To learn more about Downtown Frederick, Maryland, visit www.visitfrederick.org or www.downtownfrederick.org. Photographs for the nomination were provided by William Cochran, Michelle Kershner, John Kershner, Natural Artistry, Eli Roth, and Doug Via.